We live in a world that has forgotten what rest is. In our world, most people confuse rest with recreation. The brain is being bombarded with more information than it can handle. In a single moment, we are checking emails, scrolling through social media, answering phone-calls and running through mental check-lists. Functioning in this over-stimulated environment is pulling our attention in several directions all at once. When it comes to leading a healthy life, everyone knows that eating right and some form of exercise is essential. What no one seems to be talking about, is sleep. Three out of my four potential clients list lack of sleep as their number one health concern. Amongst those who are able to sleep, most still wake up feeling exhausted and low on energy. So what happened to the good old days of sweet slumber? Unlike the previous generations, we are now living in the age of technology with little to no downtime. Our minds are constantly racing to keep up with the speed of the devices we are on. Competing with the machines we are working on is turning us into one. The brain is being bombarded with more information than it can handle. In a single moment, we are checking emails, scrolling through social media, answering phone-calls and running through mental check-lists. Functioning in this over-stimulated environment is pulling our attention in several directions all at once. The fallout of being constantly plugged in is that when we do get into bed, our brain is unable to switch off immediately. If you find yourself tossing and turning for hours before you can finally doze off, you’re not alone. I’ve been there myself. Despite being a deep sleeper, I found myself waking up several times in the middle of the night, last year. Next morning I’d wake up feeling low on energy, irritated for no reason at all and unable to focus at work. In hindsight, I was trying to accomplish so much in a single day that my brain was undergoing a mental circus. How does sleep deficit affect your health? Sleep forms a major form of nourishment for our body and mind. The inability to achieve the right quality and quantity of sleep affects how we show up in our waking hours. To get over the feeling of exhaustion we resort to stimulants like coffee, cigarettes and processed foods high on salt & sugar, during the day-time. To wind down in the evening a large number of people are increasingly depending on relaxants including alcohol and supplements to induce sleep. Repeated day-after-day this creates a vicious cycle. Weight gain, emotional distress, lack of mental clarity and mood swings are common fallouts of sleep deficit. According to the National Sleep Foundation, sleep patters differ for every age group. While infants sleep for 10-18 hours, teenagers and young adults require a minimum of 7 hours of sleep. As we grow older, beyond the age of 65 years this changes to 5-9 hours. However, based on an individual’s lifestyle this might vary. Sleep and sleep quality is primarily driven by melatonin and our body temperatures. The body temperature is closely related to melatonin as it helps release heat from the body in order for us to cool down. It is the same process that happens in the natural environment where the temperature goes down and dips to the lowest before dawn and comes right up after that. 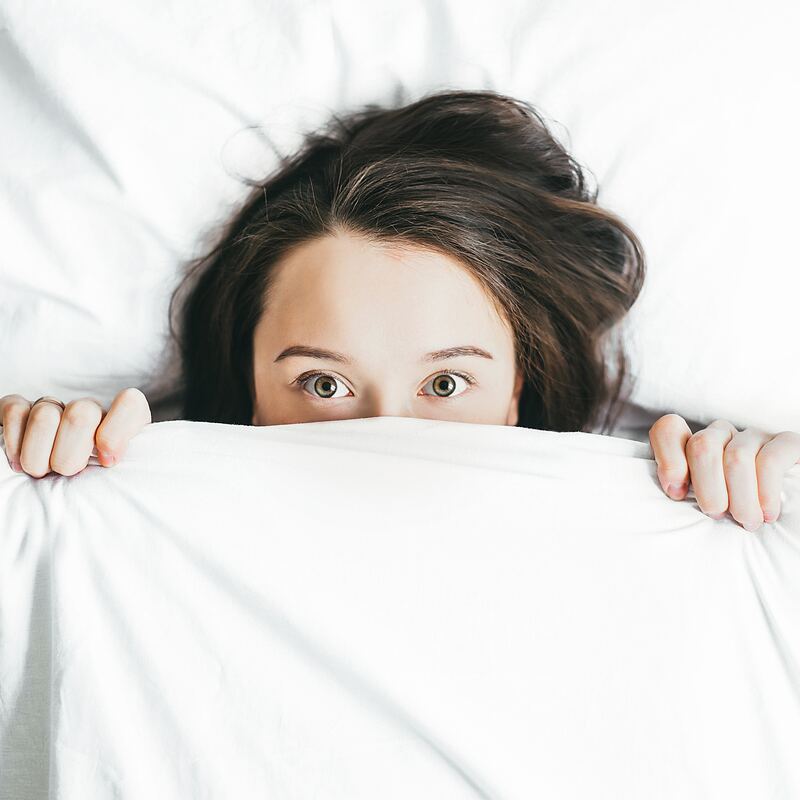 Dr. Naiman talks about ‘hyperarousal’ emphasizing that this concept has been excessively studied and is strongly linked with insomnia and sleeplessness. It is associated with increased body and brain metabolic rates around the clock. Today, even resting metabolism is not as low as it should be. Elevated heart – rates and very critically elevated core body temperature is skewing the body’s balance. We are literally overheated. The body’s immunity is compromised make it prone to inflammations. Susceptibility to chronic diseases like hypertension, obesity, diabetes and heart attacks increases significantly due to the stress caused to the body. “People who are short sleepers have an increased risk for infection, specifically a 50% increased risk for viral infection,” says Dr. Naiman. When we sleep the brain digests and assimilates information. The brain’s ability to process information and perform complicated tasks goes down after a sustained period of sleep deficit. This results in mood swings, lack of focus, irritation and an inability to make quick decisions. Memory loss is also linked to impaired brain performance. In fact, dreams which are a part of deep sleep help in emotional healing. Dream deficit therefore is as alarming as sleep loss and over long periods of time contributes to memory deficits. A healthy and well-balanced diet plays a huge role in regulating the sleep cycle. Meal timings are equally important. Limiting sugar and caffeine especially during the evening hours helps the body prepare for rest and recharge. The process of digestion requires both time and energy. Having a lighter meal in the evening ensures that digestion doesn’t interfere with the process of rest and repair. Your bedroom should not have televisions, computers, cellphones or any other electronic devices. The blue-light emitted from these devices interferes with the production of melatonin in your body which is responsible for inducing sleep. The blue-light signals your brain that it is still day time. This is the primary reason for insomnia these days. Make sure you put away or switch off all of these devices at least an hour before you go to bed. If you do use a cellphone as an alarm, put it on airplane mode to avoid disturbances. Instead of watching television, use that time to talk about your day with your friends or family. It serves as an emotional release. Going for a long walk after dinner and talking to loved ones is an excellent way to unwind. Meditation, journaling or yoga are some of the other ways to slow down your busy brain. Try to go to bed and wake up at around the same time on most days. It helps regulate your body’s rhythms which are responsible for inducing sleep and creates a healthy pattern for your body to follow.